A new shop serving up rolled ice cream desserts has made its debut in the neighborhood. Located at 1812 University Ave. in downtown Berkeley, the new addition is called Icicles. The business now has 13 stores in California and New Mexico. Top your ice cream bowl with options like strawberries, blueberries, blackberries, bananas, popping boba, lychee jelly, brownie bites, chocolate chips and more. Finish your treat with a drizzle of condensed milk, white chocolate, raspberry, caramel, Nutella or chocolate. Icicles has garnered rave reviews thus far, with a five-star rating out of nine reviews on Yelp. Chrystina Y. wrote, "Great rolled ice cream and a great experience! 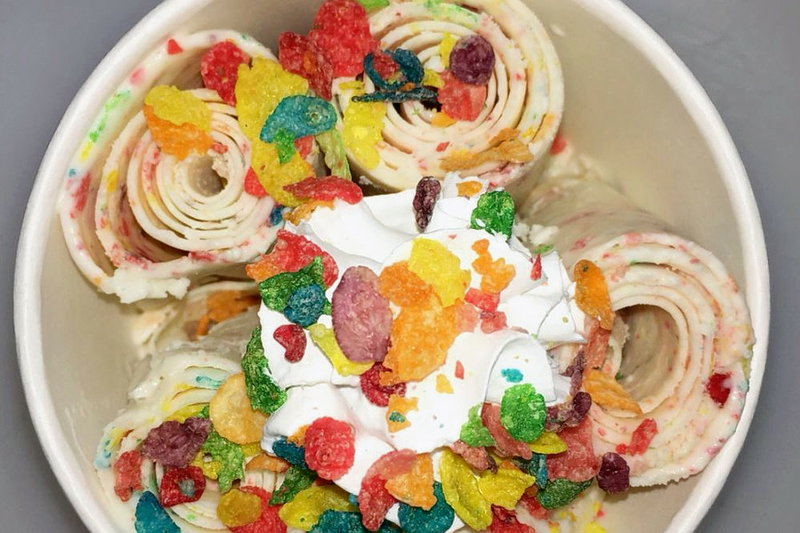 Delicious rolled ice cream flavors, unlimited toppings (plus topping refills! ), entertaining service as you watch them roll the ice cream in front of you and friendly staff!" Yelper Robert A. added, "Service was great! Staff is friendly and helpful, and I even got to the meet the owner. A cute rolled-up ice cream shop with unlimited toppings and a surprisingly large selection of flavors." Interested? Stop by to welcome the new business to the neighborhood. Icicles is open from noon-10 p.m. daily.